Non-steroidal anti-inflammatory drugs are a broad class of agents with analgesic and anti-inflammatory properties. Despite their frequent current uses, they exhibit several problems for administration related to delivery control, low solubility, and low oral bioavailability. 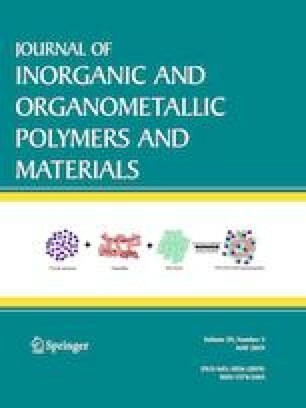 Due to mentioned reasons, several inorganic materials (anionic clays and mesoporous materials) as host, have been tested to support the min order to overcome these drawbacks. Among these materials, layered zinc hydroxide (LZH) has been used in recent years. In the present research, naproxen (Np) was intercalated into the interlayer space of LZH using anion exchange method. From the PXRD results, it was found that Np anions were successfully incorporated on LZH and the basal spacing of LZH increased from 9.57 to 22.09 Å, indicating that Np was intercalated into the interlayer space of LZHs as a monolayer. FTIR study exhibits the vibrations bands of the functional groups of Np and of the LZH, confirming the intercalation. TG analysis confirms that the intercalated Np drug in the form of nanohybrid is thermally more stable than its Np salt. SEM images illustrated that the LZH precursor has a plate-like structure transformed into the uniform structure when the nanohybrid is formed. In vitro drug release experiments at a pH of 7.4 phosphate buffer solutions and a pH of 4.8 acetate buffer solution showed controlled release profiles with Np anions as a non-steroidal anti-inflammatory model drug. In the following, the results of cytotoxicity assay showed that Np–LZH nanohybrid affected cell viability in a dose and time-dependent mode. According to the results, synthesized LZH can act as a host network and accept Np as a guest in its structure and release the drug in a more controlled manner and over a longer period of time.